Description Pinholes in corners. 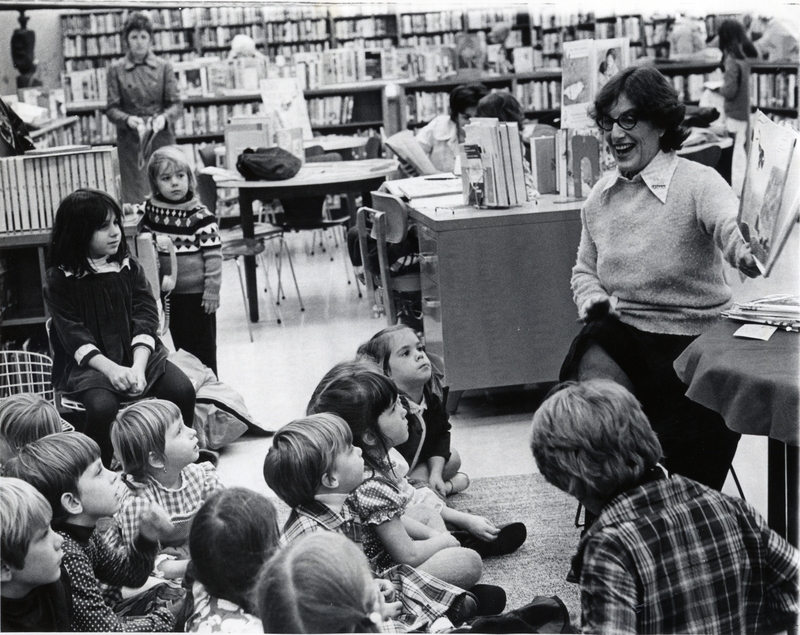 Display caption: In the 1960's-1970's Librarian Hilda Lapidus entertained youngsters in the children's corner of the library. In 1968 there was already talk of overcrowding.